Adda is arguably a crucial component of Bengali cultural discourse. It loosely translates as a kind of informal chit-chat. A thek is a recognized venue for adda. Grounded in a bit of nostalgia, this site is a virtual thek. One part of the site has Sunanda K Sanyal’s personal stuff: essays, images, and blog. The other part is open to friends, acquaintances, even strangers. 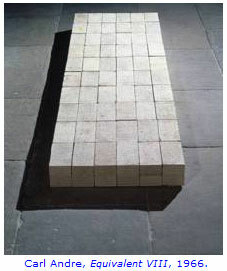 The site promotes critical understanding of art and visual culture. It is a productive platform where artists, designers, art writers, culture critics and the like worldwide can share ideas and make new contacts. Artists can have their images displayed in the Gallery, and advertise their exhibitions or other efforts in the Bulletin. Art writers and culture critics can contribute articles in the Essays/Reviews/Reports. Anyone can propose topics on the Discussion page for dialogs and debates. From Asia, from the Americas, from our city slums,…..but the material which you lent us is really the most surprising and most satisfactory which I have ever seen. What seems to me so remarkable about it is that it seems altogether developed from genuine feelings and interests of the students, with little or no reference to European conventions. That gives the work an amazing freshness and makes it……excellent study material for the psychologist of art, on the same level as good children’s drawings or genuine primitive art. I very much hope that the modern magentas, greens, purples and reds and yellows never will come to your corner of Africa before this particular color taste is firmly established. I have seen so many good folk arts completely ruined by them. The unequivocally essentialist and paternalistic tone of Middeldorf’s remarks shouldn’t surprise us, since it was the norm of colonial culture. Rather, what we should find odd is that his “curious outpost of civilization” was actually an art department of an African institution of higher learning. 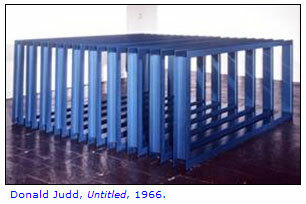 Why, then, did Middeldorf find “little or no reference to European conventions” in those images? Margaret Trowell, an English artist and educator trained at London’s Slade School, brought formal art education to Uganda in 1937. Having accompanied her doctor husband to Kampala, she organized art classes first at her house, and then at Makerere College, which, in the following year, became the Higher College of East Africa. This art training enterprise was soon recognized as the college’s informal art department, a status that became official after the institution became Makerere University College.. In its vibrancy, variety, and opulence, Durga Pujo is indeed comparable to such grand spectacles as the Carnival of Brazil. Yet unlike the Brazilian event, which has been closely examined by chroniclers of visual culture, this dynamic Bengali autumn festival has largely been denied serious scholarly attention. From thepandal (temporary sanctuary for housing the deity) and the idol to the neon displays, ad campaigns and fashion, the multi-faceted visual culture of Durga Pujo is remarkably responsive to changing times. 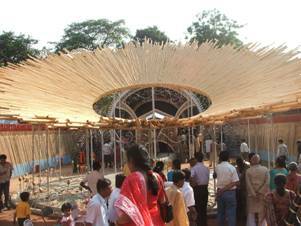 Even a brief look at the recent developments in pandal designing can shed light on the inventiveness and adaptability of this creative enterprise. The documentary examines specific aspects of the visual culture of Durga Pujo, a grand religio-cultural festival held in Bengal, India. Locally, it is seen as the occasion of the Hindu Goddess Durga’s annual visit to her parental home. Central to the rituals is a sculptural image of the Goddess killing Mahisasura, or the buffalo-demon. This mythic event is considered a symbol of the eternal battle between Good and Evil, and of female empowerment.